Any word on when or for how long? Am I the only one who didn’t know this walkway exists? Any chance MK is thinking about fountains since they are draining the moat???? We like using that walkway as a short cut. But hate the people that walk right in the middle of it, even as they see you coming toward them. Most of my shoulder bumps with people happen on that path. Scooch to the side people. With opportunities to walk through the castle becoming fewer and fewer, they needed an alternative to improve guest flow to Fantasyland and back. We always dread using this walkway. It can be single file with one line of guests going in either direction. Very cramped and real easy to get bumped / hit by strollers. 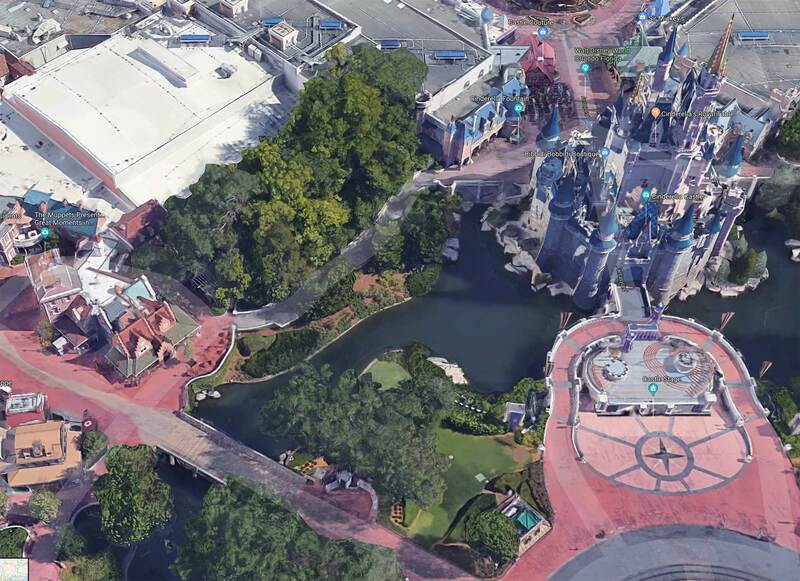 The real question will be if they will rework the seating for sleepy hollow to allow the path to be more prominent, AND if they can open this space up faster after fireworks. Biggest problem is the people who stop and take pictures with it being backed up already. I stopped going that way cause its a wreck. Its worse when the double wide strollers come barreling down the pathway. Why would work on the path necessitate draining portions of the moat? Or are two projects just coinciding with each other? I wonder if they're pushing the retaining wall back, or expanding toward the moat? The most likely scenario is that widening the path will require removing the retaining wall and replacing it with a new one closer to the water line. The only practical way to do that safely would be to have easy access to the moat side of the wall. Shoulder bumps and hip checks are for other guests who make zero effort to allow me to pass by in the opposite direction assuming I'll fully jump out of their way. For those who make an effort, I meet them half-way. For others... I'm bracing myself for the bump... and they're not. I win. Rumor is about a month, give or take.